Sometimes, the next city over – even the other side of town – can feel a world away for small and mid-size businesses. But with Valpak direct mail advertising, you’ve got a partner that can spread your brand’s message all over Oklahoma City and beyond. Our iconic Blue Envelope of coupons, combined with our digital marketing strategies, makes the market feel much smaller – more like a neighborhood. Expand your web presence with a business profile page on valpak.com and a custom website built for your business. Our team is Google Ads certified to help people find you online with search engines and to help your ads find consumers’ eyes. And the results are plain to see. Our performance tracking tools will help you monitor the calls, clicks, leads and impressions your print and digital ads make on prospective customers. 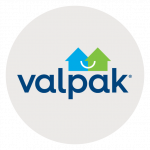 Let Valpak of Oklahoma help you reach qualified households in neighborhoods that hold value for your business, including Oklahoma City, Edmond, Norman, Yukon, Enid, Shawnee and other nearby cities and towns. Call us today! For specific dates and coverage, contact your Valpak of Oklahoma representative.